Let’s face it, using a public bathroom can be a pretty gross experience. As disgusting and unsettling as it is, sometimes using a public restroom is unavoidable, when you have to go, you have to go. Of course, there are things you can do to bring yourself some peace of mind and make using a public toilet a bit more sanitary. While using a paper public toilet seat covers or toilet paper itself to craft a makeshift cover can ease your mind, but it does not exactly fail proof. Paper toilet seat covers and toilet paper itself will often rip or slide around leaving your skin completely unprotected and exposed to the contaminated seat. So, what alternatives are there? Are there any other options for people who like a certain standard of sanitation when they use the public bathroom? Why yes, yes there is! Brill Hygienic Products has you covered, literally! 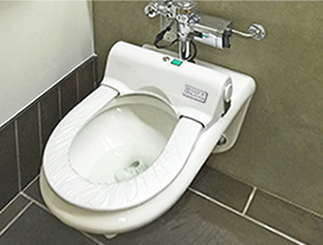 Sanitation in a public restroom is no longer an issue with Brill’s automatic toilet seat cover. How Does the Brill Seat Work? Upon entering a public bathroom stall, a wall mounted motion sensor detects the new user by a wave of the user’s hand. This is not unlike the technology already in many bathrooms that automatically flush toilets via motion sensors. Instead of flushing toilets, the sensors on the Brill seat cover dispensers will automatically cover the seat in a sanitary layer of plastic. You don’t ever have to come into direct contact with the bare toilet seat. Users can also manually activate a new cover by pressing a green button located on the Brill seat dispenser. The dispensers are extremely efficient for reducing the spread of germs in public facilities. Eliminating and reducing the spread of germs is the primary function, but is not the only benefit of these amazing machines. Every Brill Seat System is made right here in the United States. Our products are engineered using quality steel and extremely resilient plastics. Having a sanitary environment to do your business should be a very important priority for a business. Not only does a clean bathroom facility show business care but it also puts potential customers at ease. Cleanliness can speak volumes about what kind of business and work you do. Customer satisfaction is extremely important, customers using an untidy dirty bathroom will not leave them satisfied. Customer satisfaction is important, but the Brill Seat Cover system can also improve the efficiency and maintenance cost of your business directly. You can maintain the cleanliness of your bathroom facilities much longer with the Brill Toilet Seat System. Less maintenance means less cost, less time your custodians or cleaning personnel spend on the bathroom means more time spent on other locations in your facility. Constant attention is no longer necessary with the Brill Seat system. Aside from saving cost from your clean or sanitation personnel spending less time on your toilets; you will also see a reduction in plumbing costs. 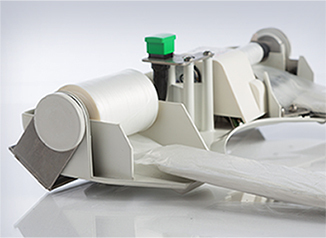 The Brill system offers an alternative to the waste accumulated by traditional seat cover and overuse of toilet paper. Ultimately, a clean and welcoming bathroom is important for client comfort and relations and should be your main concern. All Brill products are made right here in the United States, that includes the Brill seat cover. So, not only are you supporting the cleanliness and wellbeing of your facilities, you are supporting this great country of ours! We employ all genders and races, and like to keep our work environments rich with diversity, we believe that is one of the things that makes this country of ours so great! We at Brill Hygienic products provide our customers with top of the line products. For decades, we have been providing our customers with a top-notch customer service experience. We will work with you take to make sure your needs are met and you are one hundred percent satisfied.